In less than one year, South Africa will be the proud host of the 2010 World Cup. To many, this privilege is a mere formality of the Cup. 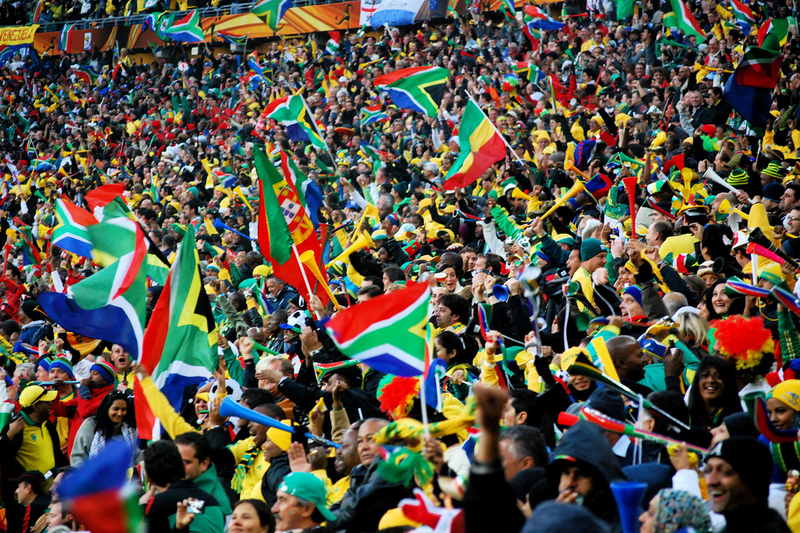 Indeed, hosting the World Cup is an honor, but for South Africa it symbolizes a far more complex idea. A history of apartheid and colonial struggle make South Africa's right to host the Cup a representation of a new period of the country's history. It marks a further departure from the oppressive history that is so often attributed to South Africa. Yet, the World Cup is no coincidental representation of a more independent nation. For many former British colonies sport has a history of serving the colonized people in resisting British rule. Often it was used by the colonizers to foster a sense of discipline and hard work, but mostly it was meant to help control. However, this control was often flipped on its head and used against the colonizer. Sport in the British Empire served as a unifying force, often imbibing nationalist rhetoric, with matches serving as focused representations of the climate of social and political struggle. Football was the most popular sport in the empire and it often unified the colonized across economic and social classes. Once adopted, football matches would be opportunities for indigenous people to resist. In Zanzibar the constant bias of foreign referees found native teams boycotting matches. Indian teams in Calcutta resisted by combining football with indigenous culture, playing barefoot, which gave their victories all the more impressive and all the more punishing to the colonizing counterparts. South African football allowed native teams to directly reject British attempts to control matches and leagues. Finally, in post colonial Egypt, football was a way to shed the stereotypes associated with being a colonized nation, giving them credit as a modern nation. These examples show how sport and specifically football in the British Empire served as a vehicle through which colonized people could resist in a number of ways. Laura Fair's article “Kickin' It: Leisure, Politics and Football in Colonial Zanzibar, 1900s-1950s” highlights the progression of control struggles between Zanzibar footballers and their British colonizers. Fair establishes that the British had difficulty in maintaining control over the neighborhood teams and leagues, and more importantly, difficulty in controlling what football meant to those who participated. Unification across class lines is the central part of Boria Majumdar's article on football in India. Majumdar focuses on the beginnings of the sport in which Nagendra Prasad Sarbadhikary becomes a national figure as the 'father of Indian soccer' and ultimately promoting a system which allowed movement between castes in a society that was sharply divided along social lines. Finally, an article by Shaun Lopez, a stunningly handsome professor at the University of Washington, shows how resistance through football manifests itself in postcolonial Egypt. “Football as National Allegory: Al-Ahram and the Olympics in 1920s Egypt” is strikingly different from the other articles which are full of evidence of how football unified communities and became a way to instill indigenous culture into a new form of resistance. Lopez seems to suggest that football in Egypt, particularly in the 1924 and 1928 Olympics, was an effort to break out of the colonized mold and become a modern nation by citing the writing of a major newspapers sports page. 1.) Fair, Laura. "Kickin' It: Leisure, Politics and Football in Colonial Zanzibar, 1900s-1950s." Africa: Journal of the International African Institute 67, no. 2 (1997): 224-251. 8.) Lopez, Shaun. "Football as National Allegory: Al-Ahram and the Olympics in 1920'Egypt." https://faculty.washington.edu/stlopez/History466 (accessed 12.06.2008). 9.) Fair, Laura. "Kickin' It: Leisure, Politics and Football in Colonial Zanzibar, 1900s-1950s." 10.) Majumdar, Boria. 2006. "Tom Brown goes global: The 'Brown' ethic in colonial and post-colonial India". International Journal of the History of Sport, 23:5, 805-820. 11.) Alegi, Peter C.. "Playing to the Gallery? Sport, Cultural Performance, and Social Identity in South Africa, 1920s-1945." The International Journal of African Historical Studies 35, no. 1 (2002): 17-38. Patrick M. Hutchison graduated in 2009 with a concentration in Anthropology & History from University of Washington in Seattle, WA.